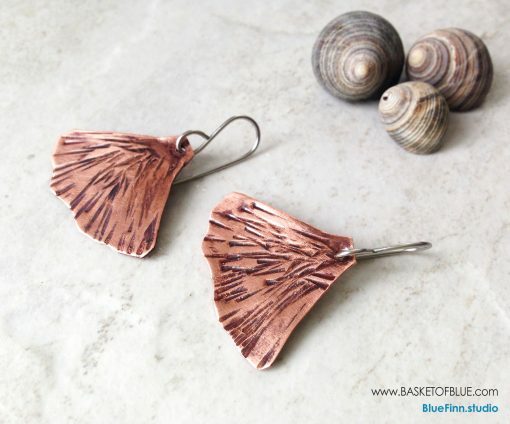 Copper Gingko Leaf earrings, patina earrings, rustic copper leaf dangle earrings. 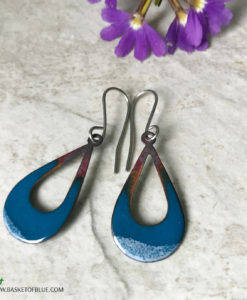 These are for the fun handcrafted lover, no pair will ever be the same, totally unique. 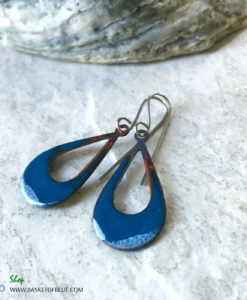 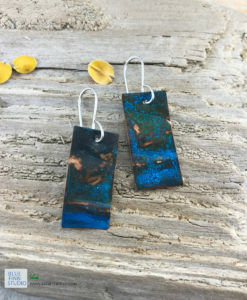 Metal earrings with nature inspired shape. 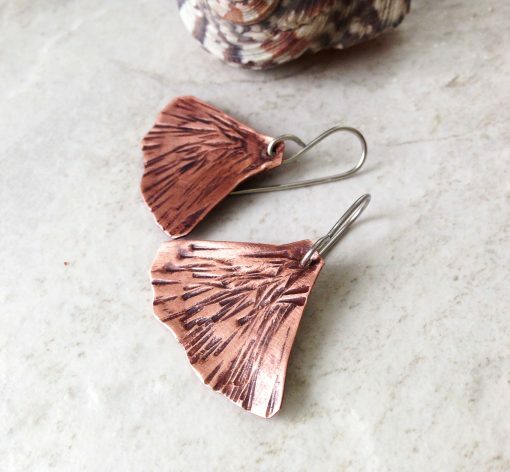 Handcrafted from pure copper in small artisan studio. 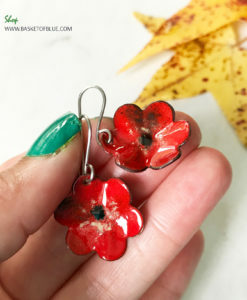 Do you love unique nature inspired jewelry? 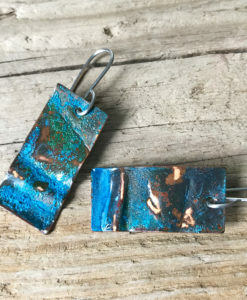 And items that not everyone you meet has? 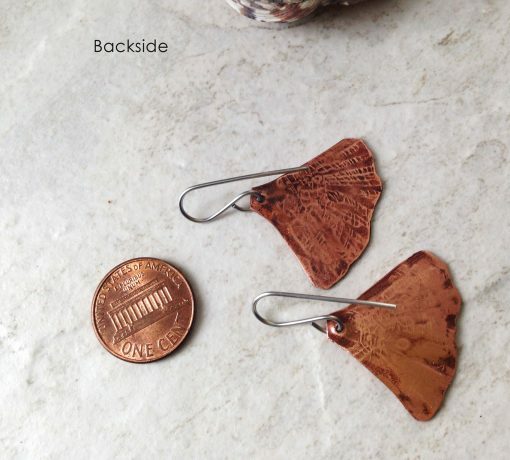 Coated with high grade jewelry clear coat to prevent tarnish. 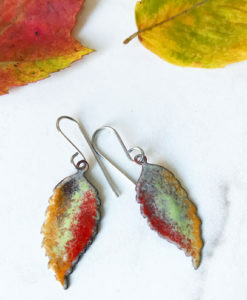 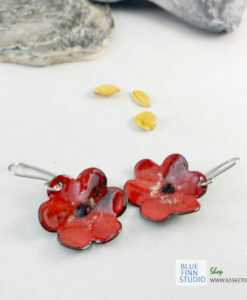 This earring is perfect for the person who loves the all natural – leaves, trees, plant inspired! 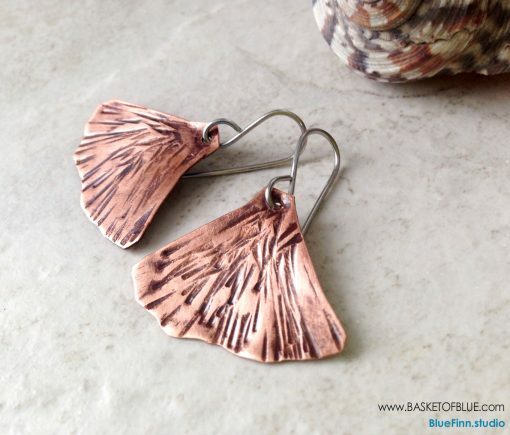 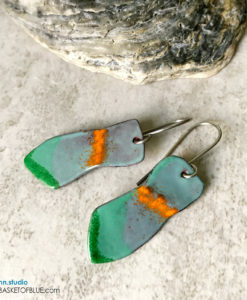 Copper Ginkgo Leaf earrings, patina earrings, rustic copper leaf dangle earrings. 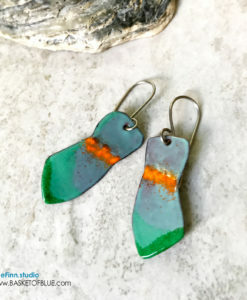 These are for the fun handcrafted lover, no pair will ever be the same, totally unique. Metal earrings with nature inspired shape. 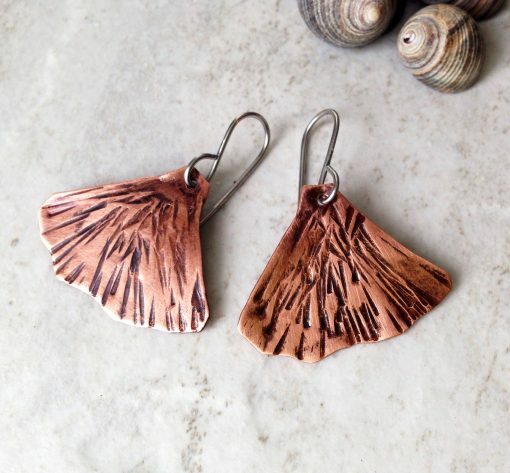 Handcrafted from pure copper in small artisan studio. 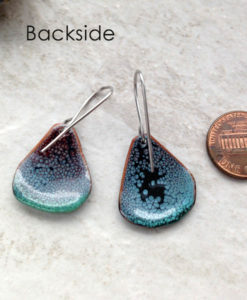 Coated with high grade jewelry clear coat to prevent tarnish. 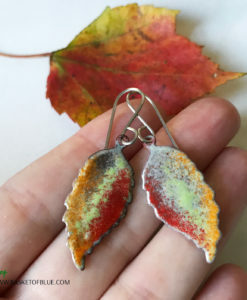 These earrings are perfect for the person who loves the all natural – leaves, trees, plant inspired!